As if the affiliate side of the online-gambling business isn’t tough enough, details continue to emerge in the story of Betsson AB’s key affiliate manager, Christiaan Alexander Van Dalen, who has been arrested by Maltese authorities and accused of stealing money from the company and, possibly, its affiliate partners. 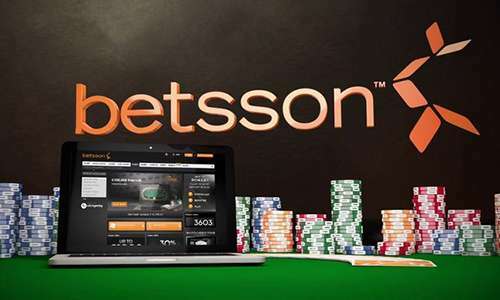 The arrest of Van Dalen was linked to an ongoing scheme in which he allegedly “re-tagged” the accounts of various high-volume Betsson customers with his own affiliate-account identification, thus diverting earned revenue from the customers’ gambling on Betsson into his personal accounts. Malta Today was the first to report on the arrest of Van Dalen about a week ago. The Dutch national, who had worked at Betsson’s Malta corporate offices, remains in custody on charges on charges of fraud, money laundering, and various other “computer-related offences.” Van Dalen was ordered held without bail, and assets within judicial reach of Malta authorities were ordered frozen pending further developments in the case. Van Dalen is alleged to have misappropriated at least €153,000 in an ongoing scheme involving removing the original Internet source from the high-volume players accounts, and replacing that info with that of websites and accounts belonging to he and his Filipino wife. A Maltese investigator working on the case testified that Van Dalen diverted the money into several different online e-wallets and banking accounts registered to Van Dalen and his wife, and that some of the misappropriated funds were also likely used to buy real estate in the Philippines. A Betsson lawyer appeared at the initial hearing for Van Dalen and argued in favor of the freezing of assets, which was ordered by the court. It was “very clear that he parked the funds in his wife’s account,” argued Betsson counsel Ian Vella Galea. Presiding magistrate Charmaine Galea also ordered that Van Dalen be barred from accessing any computers or other online-capable devices while in Maltese custody, out of concern that Van Dalen could get online and tamper with evidence or transfer as-yet-unearthed funds out of the court’s reach. Betsson AB is the corporate parent of the Betsson family of online-gambling web sites, many of which are owned and operated via Malta, though parent company Betsson AB is incorporated in Sweden. CasinoCity lists 22 sites, many existing as skins on the Microgaming Network, as being part of the Betsson AB family. Those sites largely serve the Nordic countries of Denmark, Sweden, Norway and Finland, though at least 16 of the site;s offer English-language support and some of the sites cater to the Russia market as well. The complete list of Betsson AB sites: Betsson Poker, Betsson Bingo, Games & Scratch Cards, CasinoEuro, Betsson Sportsbook & Betting Exchange, Betsson Casino & Live Casino, Norskelodd, Betsafe, Betsafe – Denmark, NordicBet Denmark, NordicBet, Triobet, DanmarksAutomaten, Star Casino, DHoze, EuroCasino, SverigeAutomaten, NorgesAutomaten, Oranje Casino, Kroon Casino, Kroon Casino – Belgium, and Mr Smith Casino. One more Betsson-affiliated site, Europe-Bet, is listed as rogue by CasinoCity and is not included in general listings in the CasinoCity indices. Whether or not Van Dalen allegedly stole only from Betsson itself or converted, as many suspect, player accounts that were created via Betsson’s third-party affiliate partners remains a topic of hot debate. Multiple affiliates posting on the GWPA (Gaming Portal Webmasters Association) forum relayed e-mails purportedly received from Betsson asserting that only Betsson was affected negatively by Van Dalen’s alleged actions. However, a handful of other posters cited specific examples of high-volume accounts disappearing from their affiliate ledgers over the past year or two, under unusual circumstances or without explanation. Betsson, for its part, has not issued any official statement regarding the ongoing Van Dalen case.